"Big Bang Theory" episode calls preborn baby "a person"
A recent episode of the popular CBS sitcom “The Big Bang Theory” has drawn attention in pro-life circles for featuring a high-profile affirmation of personhood in the womb. During the show’s April 7 episode, a scene depicts Howard and his pregnant wife Bernadette listening to a fetal microphone, after which they are overjoyed to hear their preborn child’s heartbeat. Their friend Raj even comments, “You guys made a person.” While depictions of wanted preborn babies in popular media are fairly common, it is rarer to see explicit declarations that they are “persons” this early in pregnancy. 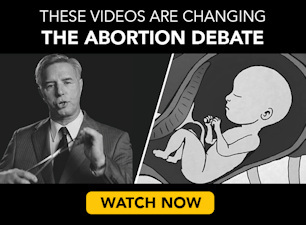 Abortion itself is not a frequent topic of mainstream entertainment either, but according to a 2014 study out of the University of California-San Francisco, 91% of abortions in the history of TV and film are depicted as safe, while many of the unsafe fictional abortions were depicted as such to promote a debunked pro-abortion narrative about the danger of illegal abortions in the years before Roe v. Wade. Reacting to the episode at National Review Online on Friday, Jonah Goldberg observed that it ran counter to Hillary Clinton’s recent claim that the “unborn person” does not “exist” under the law, and highlighted a common cultural misconception that personhood depends on a child’s wantedness.